It's so beautiful and, yes, so clean! Very pretty picture. 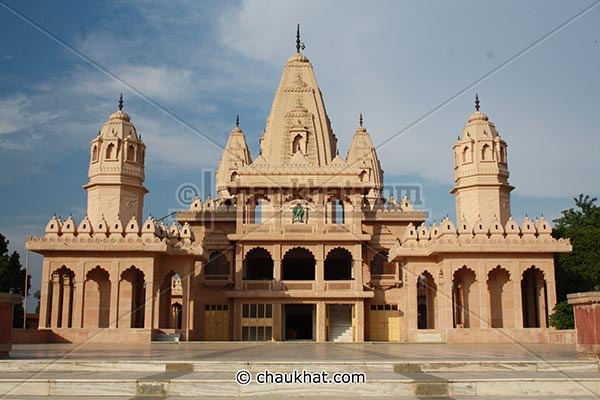 It is a beautiful temple, Bhavesh, but it seems quite strange not to see any worshipers present. @ Neha: I'm glad you liked the Indian temple photo. Bela foto de um belo templo. @ sideny: Obrigado :) Eu estou contente que você gostou da foto. It's a very pretty temple. And very clean. This photo is really very terrific, purely divine and spiritual thanks for sharing this. This Indian temple looks magnificent. I like to visit India and all its historical places. I like to wear the Indian costumes in every Halloween. Thanks for sharing about India. @ Anonymous: My pleasure, really!